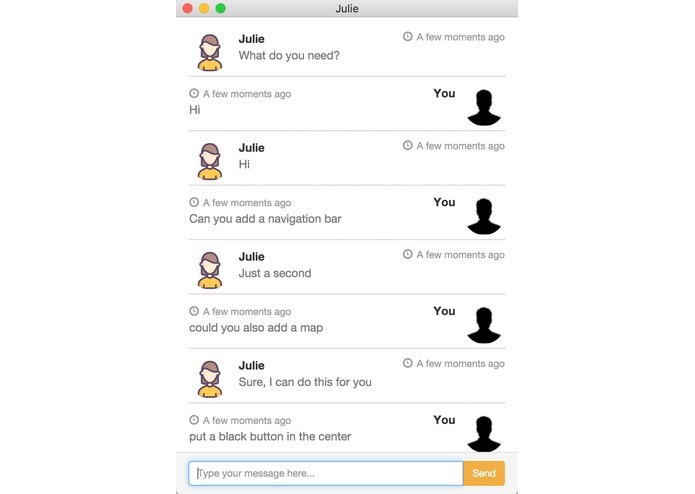 Julie is an application that allows you to create mobile applications using text and speech. 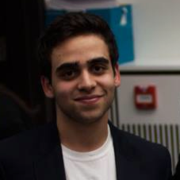 The drive behind the idea stems from the difficulty involved with creating native apps. This allows people without any programming experience to learn and understand what mobile development is about. Julie is an AI-powered virtual assistant that helps you in building your apps. You can give her instructions on how you want your app and she will help you designing your UI and much more. Julie, the desktop app, was built with React and Electron. Her brain is powered by Wit.ai, her reasoning is sync with a React Native app through Firebase and she is also able to receive phone calls or sms thanks to Twilio and Linode. Generating the code automatically was extremely difficult. Parsing the code was first attempted to build an entire app from scratch, but then this strategy wasn't adopted in favour of Redux and states. We learned that parsing React Native is not the nicest thing in the world. Setting up a Linode server is challenging and hitting the Twilio's API with Java is always fun. Further, Firebase is super easy to use. Julie is ready to be used by people with little or no programming experience who want to get close to Android and iOS. Further, her brain will need to become smarter and the number of actions supported has to increase. She is also already excited to be used as an educational tool by young generations.